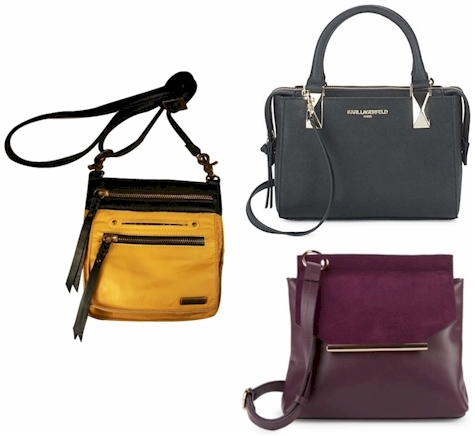 Daily Cheapskate: 3 FANTASTIC deals on designer leather purses, from $49.00 to $99.99 shipped. Karl Lagerfeld, Halston and Embrazio. WOW! 3 FANTASTIC deals on designer leather purses, from $49.00 to $99.99 shipped. Karl Lagerfeld, Halston and Embrazio. WOW! I have a personal mantra: "pocketbooks and jewelry will never, ever make you look fat." Here are three fantastic deals on higher-end designer pocketbooks, the first two at Saks and the last one at Embrazio. 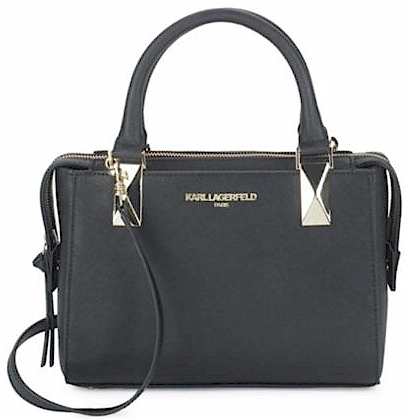 Saks Fifth Avenue Off Fifth has got this gorgeous Karl Lagerfeld Mini Saffiano Leather Satchel in black priced at $198.00 $79.99 with free 2-day Shoprunner shipping. 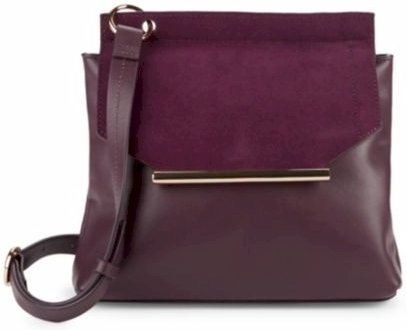 The other fabulous buy at Saks Fifth Avenue Off Fifth is this Halston Heritage Leather Crossbody Bag (in three colors) for $295.00 $99.99 with free 2-day Shoprunner shipping. Comes in black, boysenberry, and chocolate. Pictured here is the boysenberry. Embrazio has marked their Tasca Leather Purses way down to $134.00 $49.00. Enter promo code TASCASHIP at checkout to get FREE shipping. The Tascas come in 9 colors. These beautiful, sheepskinned-lined leather purses include a leather cellphone sleeve. Description: With the Tasca leather cross body purse, we set out to create that special everyday bag you “just can’t be without.” Style, feel, and function had to come together such that each would enhance the other. Sheepskin inside and out with a detachable strap. 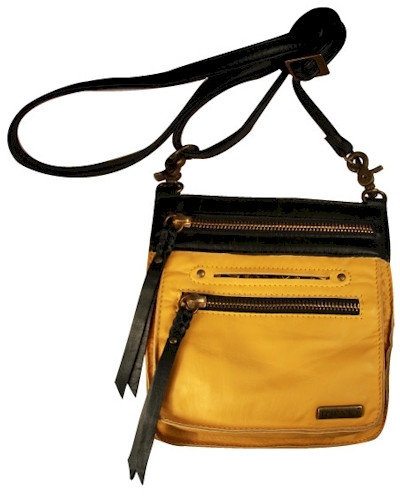 The clips stay on the bag so you can wear it as a leather hip bag when the strap is removed. Leather lined cellphone sleeve on the outsize fits up to an iPhone 6. Size: 7" wide by 7" tall by 3" wide at the bottom.